Welcome to the Moonlight Publishing blog! Read up on what we do and enjoy, and please feel free to comment. We are a small dedicated children's book publisher, founded in 1982 to create a new kind of information books for young children. Our long-term partnership with Gallimard-Jeunesse and a creative team of illustrators has assured our growing success over the last 20 years. We aim to explain how things work, how people, things and facts are interrelated, and why the world is as it is. Through outstanding illustration, excellent design and simple, clear texts, we set out to capture the imagination of our young readers. We nourish their fascination with what they discover and make them want to find out more about the subject. 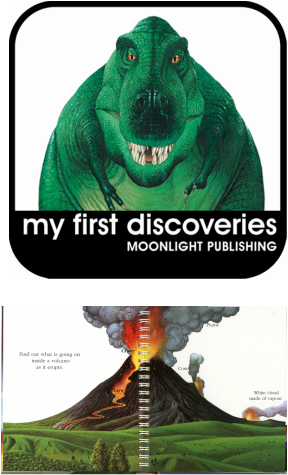 Our most successful series, First Discovery, has sold over 40 million copies in 30 languages around the world. Yes, our books have a truly universal appeal.